6 days, 23h:19m:10s £5.00 Buy now! 29 days, 01h:03m:10s £20.00 Buy now! 9 days, 20h:45m:14s £2.00 Buy now! Biggles 2 days, 14h:04m:09s £2.55 Buy now! Footballer Of The Year 2 days, 14h:07m:11s £1.45 Buy now! Zythum 2 days, 14h:09m:15s £5.95 Buy now! Footballer Of The Year 2 days, 14h:09m:15s £1.95 Buy now! Mike Read's Computer Pop Quiz for ZX Spectrum from Encore 2 days, 14h:41m:43s £2.10 Buy now! Sinclair ZX Spectrum Game Compilation Plus One (Gnasher & Spectipede) 2 days, 14h:48m:56s £1.99 Buy now! Hunter Killer 2 days, 14h:56m:01s £3.45 Buy now! Total Eclipse & Sphinx Jinx (Compilation) 2 days, 14h:58m:03s £4.25 Buy now! Frankie Goes To Hollywood 2 days, 14h:58m:03s £8.95 Buy now! The Armageddon Man 2 days, 14h:58m:03s £3.75 Buy now! Zythum 2 days, 15h:02m:06s £5.95 Buy now! Yie Ar Kung-Fu II / 2 (Kung Fu) 2 days, 15h:02m:06s £9.95 Buy now! Robocop (+Robocop 2 - Bonus!) 2 days, 15h:02m:06s £7.95 Buy now! We Are The Champions (Compilation) 2 days, 15h:04m:08s £6.50 Buy now! 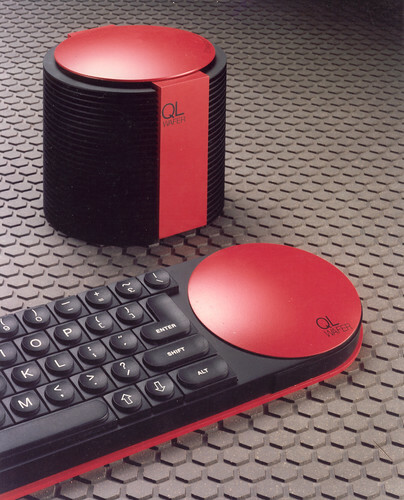 Sinclair QL Box-Set - QL Games 6 2 days, 15h:05m:10s £20.00 Buy now! A View To a Kill - The Computer Game 2 days, 15h:05m:10s £3.85 Buy now! ZX-AY Sound+Joystick interface AY-3-8910/12 ORPHEUS 2 days, 15h:13m:28s £22.16 Buy now! 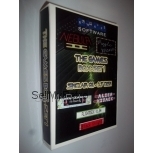 The Music Box for ZX Spectrum from Melbourne House 2 days, 15h:33m:57s £11.00 Buy now! Tir Na Nog 2 days, 15h:40m:25s £7.95 Buy now! FORTH 2 days, 15h:40m:25s £8.95 Buy now!